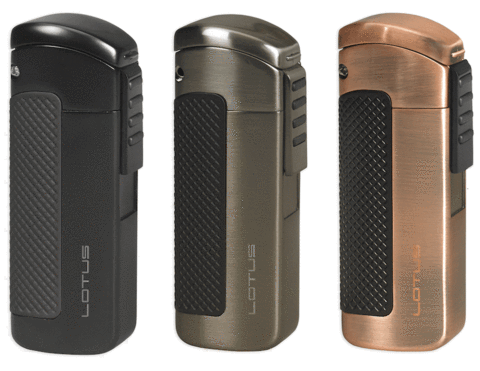 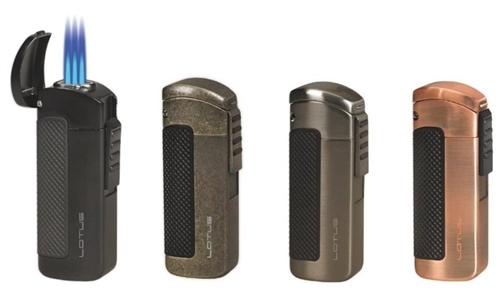 The Lotus CEO is a triple flame lighter with a convenient triple slide ignition button with rubber grips allows you to light your cigar in seconds. 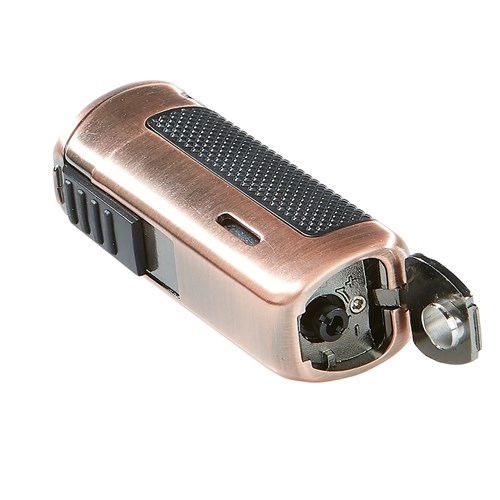 Not only is the CEO quick and precise, it has a built-in 7mm cigar punch, a slide fuel level gauge, and a large flame adjuster to be able to light your cigar anywhere. 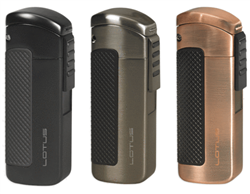 This sleek wind-resistant torch flame comes in a Lotus box perfect for gifting to the cigar enthusiast.